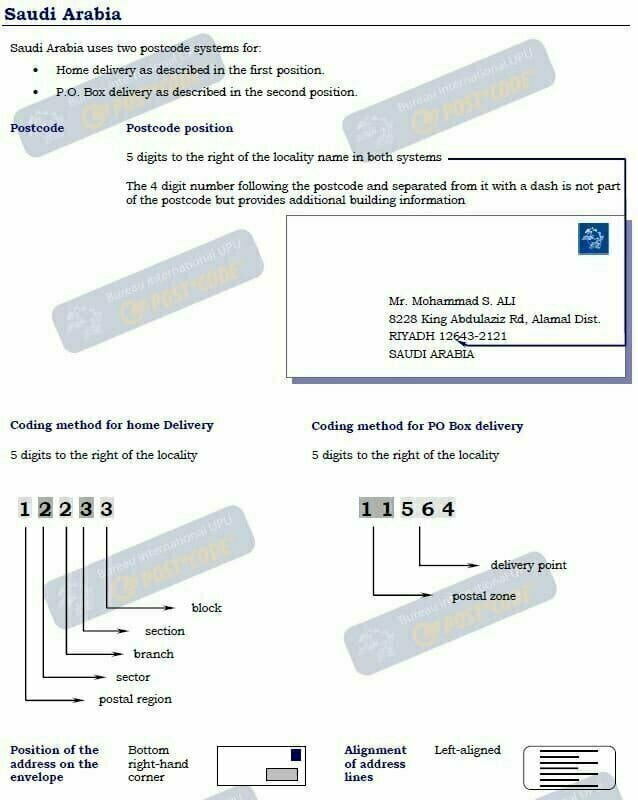 Saudi Arabia uses two postcode systems for: Home delivery as described in the first position. P.O. Box delivery as described in the second position. The Postal Code or Zip Code of Jeddah, Saudi Arabia is 21577. The Postal Code or Zip Code of Makkah, Saudi Arabia is 21514. 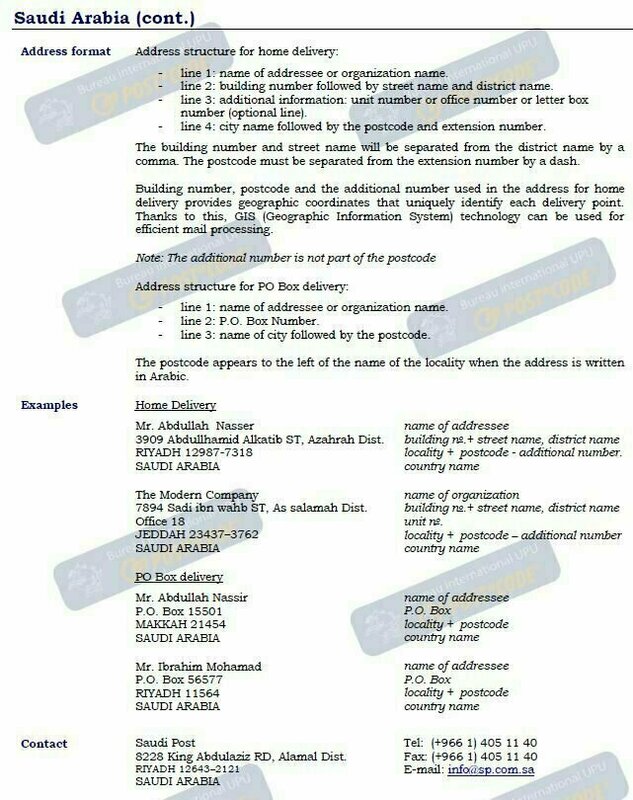 The Postal Code or Zip Code of Madinah, Saudi Arabia is 20012. The Postal Code or Zip Code of Dammam, Saudi Arabia is 31433. The Postal Code or Zip Code of Khobar, Saudi Arabia is 31952. The Postal Code or Zip Code of Taif, Saudi Arabia is 21431. The Postal Code or Zip Code of Tabuk, Saudi Arabia is 50060. The Postal Code or Zip Code of Qassim, Buraidah, Saudi Arabia is 51431. The Postal Code or Zip Code of Khamis, Saudi Arabia is 61961. The Postal Code or Zip Code of Najran, Saudi Arabia is 61441. The Postal Code or Zip Code of Sakaka, Saudi Arabia is 75471. The Postal Code or Zip Code of Riyadh, Saudi Arabia is 11564. Zip Code or postal code required when you are writing address. Every City have the Different Postal or postcode which is consist of five or nine digits. This ZIP codes system started in 1963 by the United States Postal Service (USPS). The basic format consists of five numerical decimal digits. And then it was extended ZIP+4 code for more Specific Location In 1983.